Beachbum Berry's Nantucket Sleigh Ride. Photo by Randy Schmidt. The fall-to-winter handoff can be a bona fide drag. Fortunately, just as temperature and temper take a seasonal turn for the worse, the promise of rum and rejoicing is just around the bend. There are many ways to celebrate the holidays with rum in splendid Caribbean tradition. But if you’re a long way from mango trees and sandy shores, you may just find some amped-up Christmas rum drinks in your hometown by some happy miracle. A Miracle pop-up, that is. Miracle, everyone’s favorite Christmas-themed cocktail pop-up concept since 2014, is serving their unique brand of festive holiday cheer from Black Friday straight through to New Year’s Eve. Organized by publisher and barware treasure trove Cocktail Kingdom, this year’s roster of over 90 venues includes some of the most highly revered cocktail establishments around the world. Festooned with fabulous frill, each location will be doling out over-the-top drinks with enough rum and wintry spice to grow the heart of the grinchiest Grinch three sizes more. Expect seasonal music, lots of tinsel, colorful lights, and throngs of cheerful sweater-clad patrons answering the clarion call for joyful conviviality. If all you really want for Christmas is a tropical escape but you can’t make it down to Kingston Town, then Sippin’ Santa is the answer to your prayers. 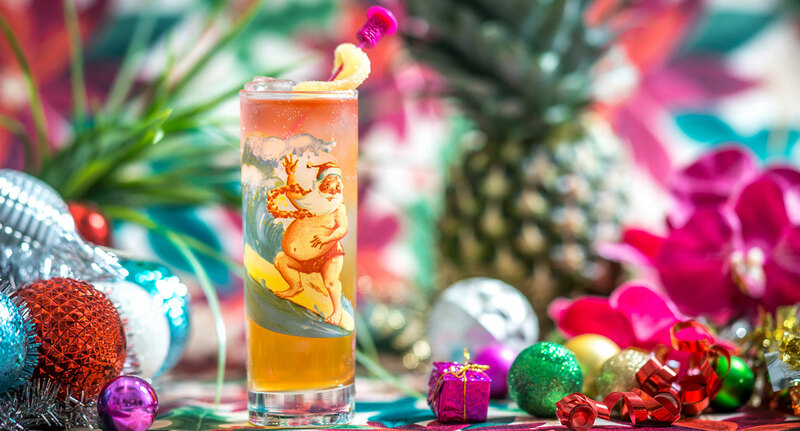 In partnership with celebrated author and tiki aficionado Jeff “Beachbum” Berry, Miracle’s tiki Christmas-themed Sippin’ Santa has popped up at a dozen Miracle locations throughout the United States. Berry’s own Beachbum Berry’s Latitude 29 in New Orleans is the belle of this tropical yuletide ball, transforming from the French Quarter’s finest tiki temple to a surfside Christmas dream. So how does Christmas find its way into our glasses of rum? And what about those gloriously glittery Christmas trappings? Has Christmas always been a special time for the Beachbum? Like caroling and Christmas dinner, a visit to Sippin’ Santa is a jovial social gathering. The mood is festive and fun, with tinsel trees and baubles galore. 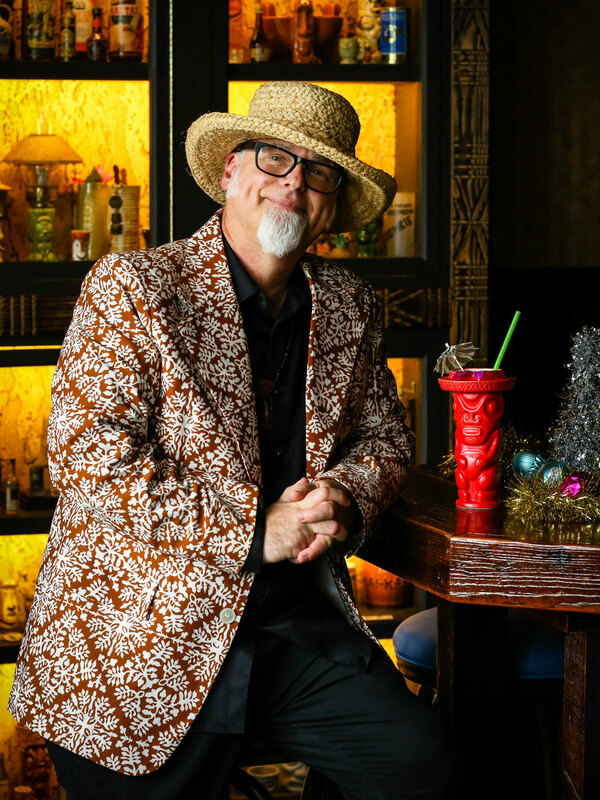 The high-spirited drinks, nestled all snug in their merry vessels, were developed by Beachbum Berry and Brad Smith—Latitude 29’s award-winning head bartender—to be a veritable tiki wonderland of yuletide taste: distinctly holiday, yet true to their tiki roots. Beachbum Berry sips on Grinch Grog. Photo by Randy Schmidt. That Caribbean connection is a strong thread which winds through nearly everything on the Sippin’ Santa menu. Rum, Curaçao, citrus, allspice, coconut, pretty glassware, fancy garnishes—one can easily imagine savoring these sips on sunny shores while a sun-kissed Saint Nick glides in with the Christmas Breeze (a Jamaican colloquialism for December’s crisp air). Which is high praise indeed, since holiday drinking is serious business in the West Indies. Christmas in the Caribbean is a time of music, celebrations, and togetherness. From island to island, house to house, gift-giving takes a back seat to yuletide greetings with a chilled glass of spirited good cheer. Coquito, Puerto Rico’s coconut-based Christmas drink, is probably the most widely recognized Caribbean holiday quaff. Many other locales enjoy similar libations. Cubans have a yolks-only variation of eggnog called crema de vie, while Dominicans favor rum-based eggnog. 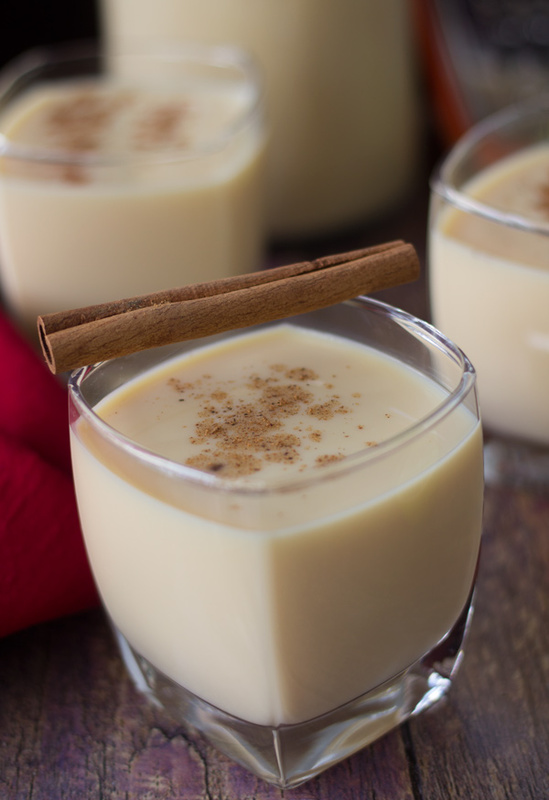 Guyanese infuse their eggnog with lots of cinnamon and cloves. Haiti’s floral-scented krema is a lovely mix of coconut cream, condensed milk, vanilla, and other spices. 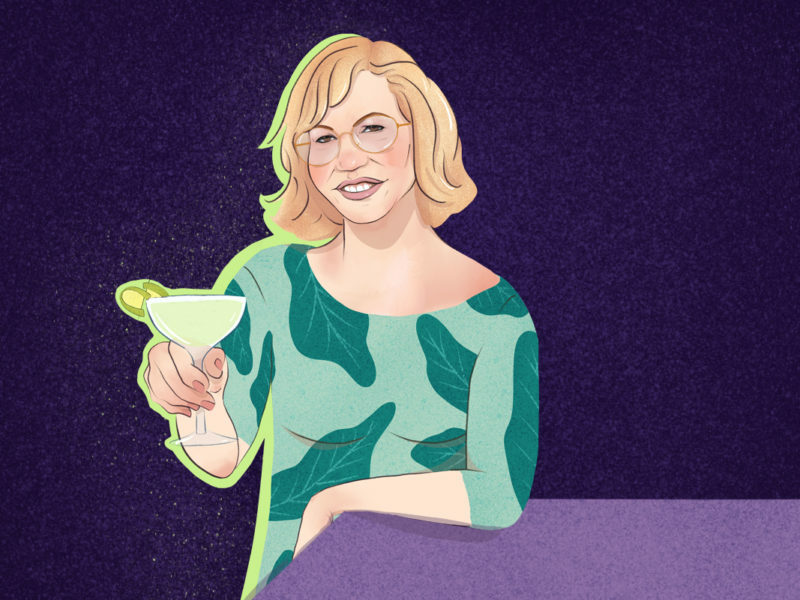 These are family-cherished drinks with a personal touch: No two rum-fueled recipes are exactly alike, but all engender warm interaction at social gatherings. Trinidad and Tobago’s Punch a Crema (formally known as “Ponche de Creme”) is popular throughout the West Indies. It’s often compared to eggnog, but the citrus, nutmeg, and bitters put this creamy drink in a league of its own. Recipes abound, although Renee “Renz” Robley, author of the popular blog Homemade Zagat, considers her great-great-aunt’s Tobagonian Punch a Crema recipe the one to serve to the special folks in your life (as long as they don’t take too much). Festive Ponche de Creme ready to serve to worthy guests. Photo courtesy of Homemade Zagat. 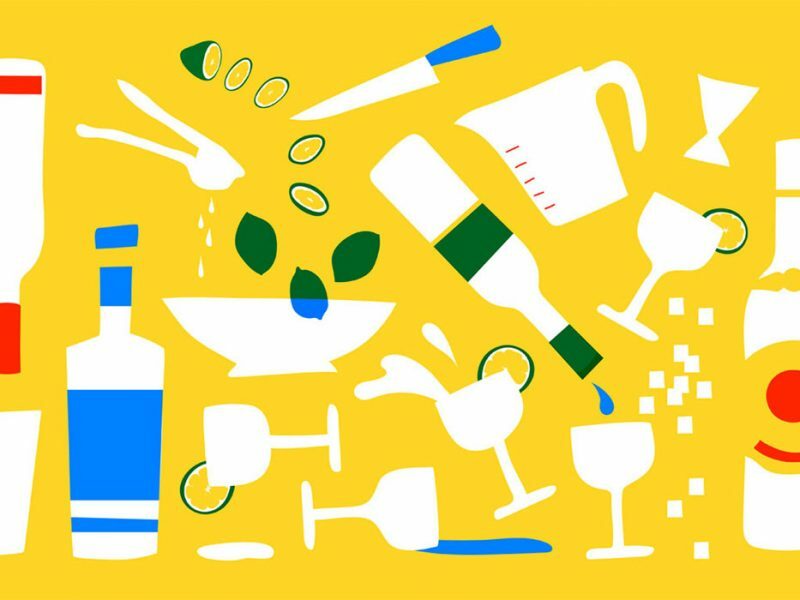 Catch up with friends and family at Christmas in the French-speaking parts of the Lesser Antilles, and your host will surely greet you with a glass of homemade shrubb. The spicy orange liqueur is made by macerating peels of oranges, mandarins, or tangerines, cane sugar, and spices in white agricole rum. Traditionalists start the shrubb-making process on All Saint’s Day (when citrus season is in full swing), and leave the bottle to infuse in the sun until Christmas—essential, some say, for true flavor to develop. Guavaberry rum, a bittersweet, highly aromatic liqueur, is a yuletide must throughout the Virgin Islands. This holiday libation is made from the blueberry-sized berries of Myrciaria floribunda (also known as the guavaberry or rumberry tree, and which should not be confused with the guava tree) which grow on the north side of mountains throughout the Virgin Islands. Commercial varieties abound, but nothing beats a homemade batch. The mashed berries, which ripen in September or October, are mixed with spicy botanicals, rum, and a small splash of the previous years’ batch, then steeped for several weeks. Holidays of yesteryear included friends and family caroling house to house, sampling guavaberry rum at every stop. Nowadays, toasts of guavaberry rum topped with Champagne provides continuation of heritage and Christmas tradition. Another Christmas Day make-at-home must-have throughout the Caribbean is Sorrel Punch. Also known as sorrel wine or simply “sorrel,” a chilled glass of this ruby-hued, sweet-tart beverage is what friends welcome friends with throughout the Christmas season. If you’ve had more sorrel visiting than in your own home, you’re doing it right! Sorrel is made from the fleshy calyces of roselle hibiscus (Hibiscus sabdariffa), sugar, and rum. Fresh sorrel is cheap and plentiful starting early November: folks simply pop the ingredients into a big jar then tuck it away to let the flavors mingle. 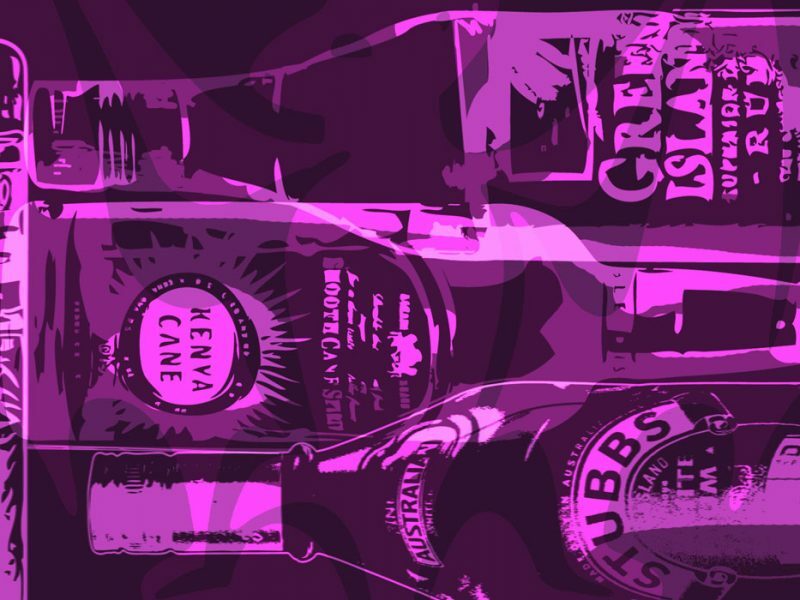 The beverage got its start in Jamaica (older references often call sorrel drinks “Jamaica”), but like the plant, the recipe has spread throughout the Caribbean. Berry suggests the circa 1960s Jamaican Sorrel Wine recipe in Beachbum Berry’s Potions of the Caribbean as a springboard. For sorrel that sings out “Christmas Jamaica!”, do as locals do and add pimento (allspice) and ginger to the mix. Rubescent sorrel punch, a Caribbean Christmas classic. Photo by Gina Haase. In the Bahamas, it’s not so much what you’re drinking, only that you’re drinking with friends. The calypso carols focus on sunshine and mangoes, holiday hosts are as likely to serve Planter’s Punch as eggnog, but nearly everyone has at the ready small bottles of homemade rum punch, sorrel, and ginger beer for departing guests. Robley agrees that these are a must for everyone’s Christmas cheer. The occasional journalist, scholar, or opinionated French Quarter cab driver will sometimes call New Orleans “the northernmost Caribbean city.” Like other Creole domains, the Crescent City is a colorful tapestry of different cultures, a place where bonhomie is king and good vibes are the rule. A tiki-Christmas mashup, with its focus on joyful community spirit, is right at home. As a parting gift, Berry shared with us the Nantucket Sleigh Ride, an original Beachbum Berry holiday cocktail from seasons past. When asked if he had ever spent Christmastime in the Caribbean, Berry regretfully replied that he hadn’t. Mix up one of these drinks for your nearest and dearest, and you can have yourself a merry little Caribbean Christmas wherever you are. No Caribbean Christmas celebration is complete without a glass of homemade Sorrel Punch served over ice. In the weeks before the big day, folks throughout the islands head out to buy the fleshy calyces of the roselle hibiscus (Hibiscus sabdariffa) abundant in the local markets this time of year. 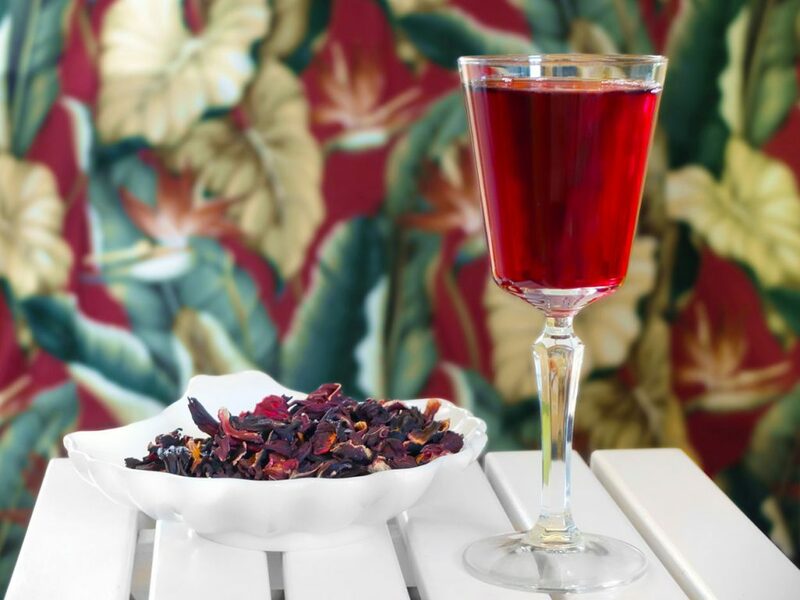 Also known as Sorrel Wine, or simply “Sorrel”, this ruby-hued, refreshingly sweet-tart beverage can be also made from dried calyces. There are plenty of national twists. For instance, Grenadians often add nutmeg or mace, while cinnamon, cloves, and bay leaves are the choice spices in Trinidad and Tobago. Folks in Martinique add vanilla and cloves, while many Jamaicans prepare it with pimento (allspice) and ginger for a spicy kick. To get you started on your own holiday island cheer, here’s a circa 1960s Jamaican recipe from Beachbum Berry’s Potions of the Caribbean. Step one: Fill a one-quart jar with sorrel. Cover with rum. Seal jar and steep for 3 days, then strain. Step two: Make a syrup by dissolving the sugar in the heated water, and let cool. Mix the strained sorrel infusion with the syrup at a ratio of 4 parts infusion to 1 part syrup. Serve. *Dried sorrel is available online or in Caribbean specialty stores. Can’t make it to Sippin’ Santa this year? Toss tinsel over that tiki, put on some non-irritating Christmas background noise—the Beachbum favors Christmas surf tunes like “Little Saint Nick” by the Beach Boys or “Sleigh Ride” by the Ventures—then shake up your own tiki holiday, Latitude 29 style. Garnish: lime wheel folded over dried apricot and stuck with Cocktail Kingdom Beachbum Berry pick. Lightly sprinkle powdered allspice on apricot. Shake with ice cubes. Strain into Cocktail Kingdom Santa Claus Collins glass filled with crushed ice.